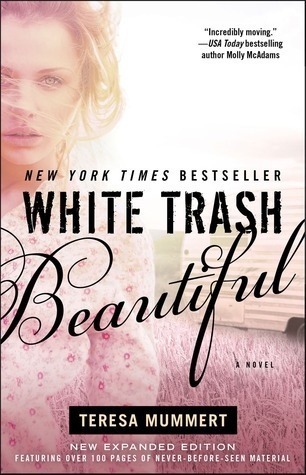 I really wanted to like this book...I mean the name...the cover...I just knew I was going to be hooked. Eh, not so much. The writing style seemed a bit rushed to me. In what world does a drop dead gorgeous rock star waltz into a run down diner to rescue a sullen waitress he just met. There was little interaction to warrent his night in shining armor routine. The story was not well developed and left me full of questions...Why? Why? Why? I tried to connect with Cass and wrap my head around why this young beautiful woman would allow herself to continue to live in the crappiest of situations. From her abusive good for nothing junkie boyfriend to her drugged out crackhead mother. Why Cass? Why??? And the decisions she makes....damn Cass, you gotta brain honey, use it! Then there is Tucker....what do we know about Tucker? Not much at all. He's a rock star. He loves Cass. BUT WHY??? The characters were not fully developed and lacked any real depth, especially Tucker. I came away from the book feeling like I hardly know anything about him and still having the question, WHY HER? I just need a reason why Tucker falls instantly in love with Cass without having an actual conversation with her other than ordering a burger and a beer! Am I the only one frustrated by this?!?! Sorry, not sorry, this really bugs me!!! I really wanted to love this book but it did not resonate with me. It's not relatable, it's not believable and most of it did not make much sense. The ending was over the top and left me feeling a bit unsettled. Overall I rate this book 1 out of 5 stars and would not recommend. It was not my cup of tea to say the least!